Can Cancer Therapy Be “Tailor-Made” to Fit a Person’s Genetic Makeup? Trials are ongoing for what are called “precision” or “tailor-made” therapies for cancer. Every human being is unique and what we are made of is determined by our genetic make-up. This is the reason “one size” doesn’t fit all or suit our tastes when we are shopping. We seek things that will make our “uniqueness” apparent. This trait holds true for cancer therapies as well. What works for one person, say in lung cancer, doesn’t for another, even though he/she may have the same kind of cancer. It is our unique genetic make-up that is being tapped into for cancer therapy. Trials are ongoing for what are called “precision” or “tailor-made” therapies for cancer. This kind of therapy caters to an individual’s genetic needs to overcome the disease or at least, keep it at bay for a few months. Also called “molecular targeted therapy,” it is gaining traction in mainstream medicine. The process begins when a sample of a tumor/cancer is sent for sequencing. Sequencing gives the genetic map of the patient and pinpoints the mutation that could have resulted in the cancer. The theory is, once a specific mutation is known, the physician can target that gene for therapy and, therefore, the intervention will be specific to the genetic make-up of that particular patient. As reported by NPR, this approach was used to detect the mutation in the brain tumor of a patient. The tumor was found to have a mutation common in people suffering from skin cancer. The patient was enrolled in a new kind of trial called the “basket trial.” In this trial are included people with the same kind of genetic fingerprint regardless of the origin of their tumors. Because of this ongoing therapy, the patient with the brain tumor is reported to have recovered enough to have a good quality of life. A clinical trial termed “Initiative for Molecular Profiling and Advanced Cancer Therapy1 or IMPACT1,” was sponsored by MD Anderson Cancer Center, and according to www.clinicaltrials.gov, as of January 2015, was still recruiting patients for the study. 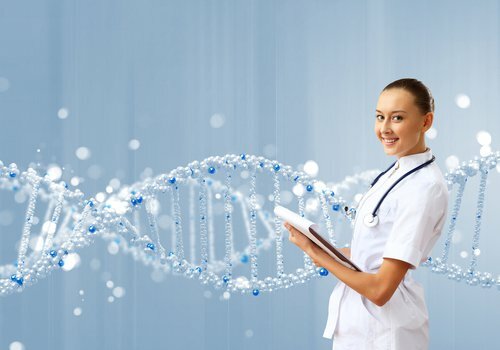 In an article written for www.cancerfrontline.org, it was reported that of the 40% enrollees in IMPACT1 who had an identifiable genomic alteration, 27% responded favorably to targeted therapy, as compared to 5% with an unmatched treatment. Dr. Tsimberidou, who leads IMPACT2, says in the article “If the results of IMPACT1 are confirmed, cancer treatment will be transformed, and comprehensive molecular profiling will become the standard of care.” Dr. Abbott agrees- “This is where the field of cancer treatment needs to go. The technology is available now."